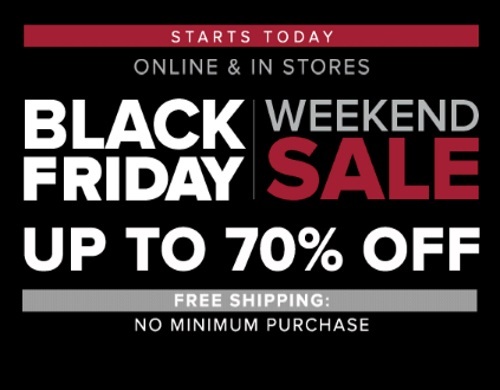 Hudson's Bay has a Black Friday Weekend Sale on now! Save up to 70% off plus get Free Shipping on any order (no minimum purchase limit). Offer starts today, Friday, November 25, 2016 in-store and online. Click here to browse Hudson's Bay Black Friday.